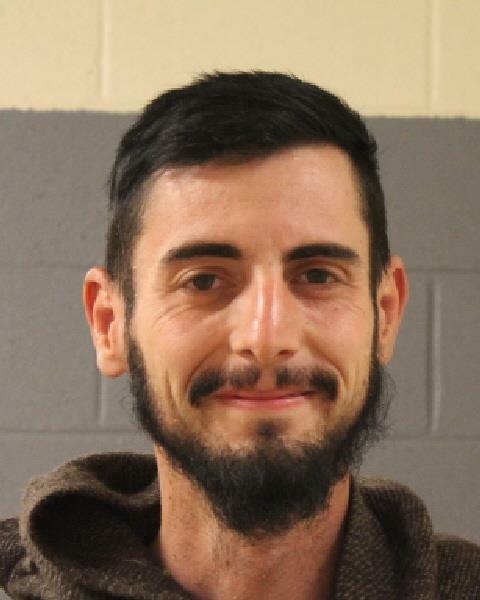 ST. GEORGE — A Texas man is in jail after police say he locked himself in the manager’s office of a convenience store early Tuesday morning, unsuccessfully tried to break into the safe, then stuffed some merchandise into his backpack and fled. Update Jan. 26, 2:30 p.m. Hans Garrick Balders, 28, of Marlin, Texas, was booked into Purgatory Correctional Facility for multiple offenses, including one third-degree felony count of burglary-non-dwelling, a charge that was dismissed during a resolution hearing held Nov. 7, 2018 at the Fifth District Court in St. George. He was also charged with one count of false personal information with intent to be another actual person and one count of possession of ID document, both class A misdemeanors, along with one count of retail theft under $500, a class B misdemeanor, according to court documents. The charges stem from an incident that began shortly after midnight when officers were dispatched to Maverik – Adventure’s First Stop at 995 St. George Blvd. for a report of a man who put approximately $80 worth of product in his backpack before fleeing the store. Officers viewed surveillance footage that showed the suspect, later identified as Balders, enter the store and proceed to the manager’s office, locking the door behind him, the report says. Balders attempted to open the safe but was unsuccessful. He then placed merchandise in his backpack before being confronted by store employees, at which time he fled the store without paying for the items. Officers were unable to locate him in the area. Three hours later, officers were dispatched to a report of a suspicious male at the Ramada Inn at 1440 St. George Blvd. While speaking with the man, they recognized him from the surveillance footage and asked him for his name. “The man proceeded to grab a social security card from his backpack and read the name to me,” the officer said in the report. When the officer asked for a photo ID the man provided a Texas driver’s license that identified him as Hans Balders. Police say Balders confessed to taking the items without paying for them, then retrieved the merchandise from his backpack and handed it over to police. He is being held in jail without bail and is scheduled to appear in court Oct. 15. Good ‘ole boy just trying to make ends meet? Adventure’s First Stop – but not his last.